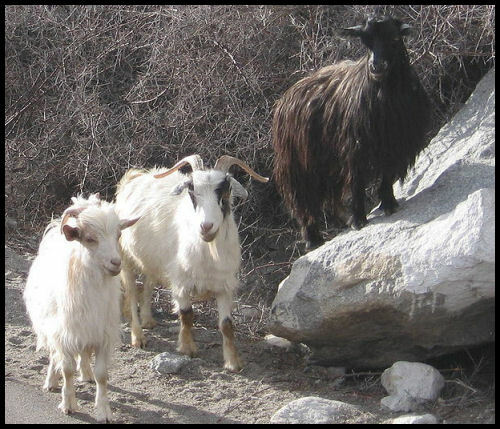 Cashmere fiber come from a cashmere goat and is quite fine and warm. The cashmere goat has two coats. One is the fine soft down and the other is the coarse and stiff guard hairs. The guard hairs are separated from the down by de-hairing the fiber. The fiber is generally collected from the goats by combing the goat during the spring when the fiber starts to shed off of the goat. The fiber is so fine and short that we generally have to make a lace weight single and ply multiples together to get a thicker yarn.